The previous post established that the Keter Aram Tzova (also known as the Tikun Ben Asher) is an ancient and halachically reliable text of the whole Tanach. The text of the Keter is uniquely consistent with its masoretic notes, but throughout history there were also other authoritative manuscripts of the Torah in various communities across the diaspora. Sofrim in these communities did their best to faithfully copy Sifrei Torah from the master texts that they had available. Given the nature of the work, it was inevitable that minor variations in the text and layout of Sifrei Torah would spread over time. Many of these differences were based on alternate traditions that preexisted the Keter, but some were simply scribal errors. Remarkably, most of the discrepancies had no impact on the meaning of the words. Nearly all of the differences were in the placement (and type) of parsha breaks, and the spelling of words which could be written maleh or chaser. A generation after the Rambam, Rabbi Meir Halevi Abulafia (the Ramah)2 conducted a thorough review of all available source material – including the different versions of the Rambam’s list. He then compiled a definitive index (Masores Siyag Latorah) of all pesuchos and setumos, and added a list of every instance of maleh and chaser words in the Chumash. The conclusions of Masores Siyag Latorah, Or Torah, and Minchas Shai (along with some later authorities) were distilled into one comprehensive list by Rabbi Shlomo Ganzfried 5 in the Keses Hasofer. Almost all Jewish communities around the world accepted the tradition as recorded by the Keses Hasofer as the definitive text of the Chumash and write their Sifrei Torah accordingly. In the modern era, when nearly anyone can easily access many of the authoritative manuscripts which were once scattered around the world, the question arises: Should the masora as recorded in these ancient manuscripts supersede the accepted text used for hundreds of years? 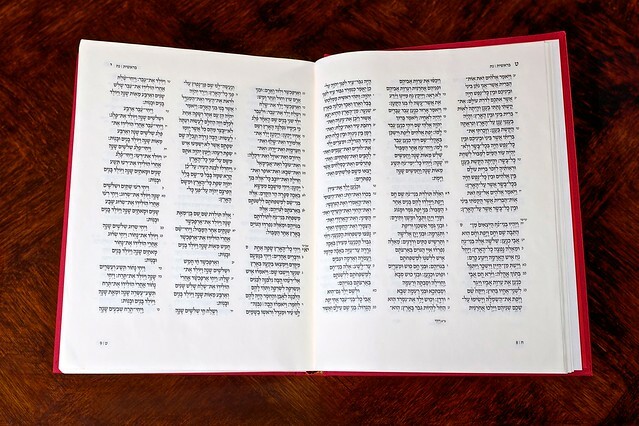 With regard to Sifrei Torah, the consensus of the poskim is clear that every community should continue to use the traditional text as transmitted within that community.6 For nevi’im and megilos, the circumstances are a bit more complicated, and they will be the subject of future posts. With thanks to Yakov Schonberg for graciously sharing his expertise.